Nithu's Kitchen : Tell us about you Kalai. Kalai Jeeva : I hail from south part of India-Tamilnadu. I did my Engineering graduation in Chennai and started my career in Bangalore. I got married to my dear 'Mr.husband' almost 3 years back and continued my career in US. We were working in different places, me in Denver and he was in Houston. We get to meet once in a month. Upon kind request from my husband & my little heart, I quit my job and joined him:) Hoping to work from next year! And now, most of my time is spent blog-hopping! So far, so good. Nithu's Kitchen : Good to know about you Kalai. Apart from cooking, what are your other interests? Kalai Jeeva : I love to learn new things, read a lot, write a little( have my own diary-an old fancy one from my 6th grade). Love to make friends and know more about them. I have always been a hyper-active female from my school days(Or, at least that's what people around me say). I like to keep everything simple and clean from my kitchen to my blog. 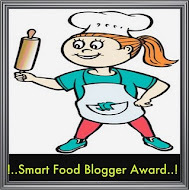 Nithu's Kitchen : Good to hear about your personal blog, definitely we'l go through your space. When did you start to cook? Which is the first dish that you cooked? Kalai Jeeva : During my school days, I grew-up eating my mom's food, simple traditional family recipes, which was unique in its own way. We rarely ate out. And my parents never insisted us to learn cooking. But life in Bangalore was different. Bangalore is a place of mixed culture, and my colleagues where from different parts of India. Mostly three meals of my day would be in the office canteens(there were all kinds of restaurants inside our office, from karnataka cuisine, chettinad restaurants and even no-good domino's pizza). And I get to eat what my friends prefer for that day! My passion for indulging(just eating) in various cuisines started right there. When I got married a couple of years back, it was my husband who taught me how to cook initially. The very first dish I made is a simple rasam-with his part of little help. And now, he tells me I have grown-up to an expert cook in a very short time. 5. Nithu's Kitchen : Oh, great! you got a lovely hubby who knows cooking:-) From the dishes you have prepared so far, which one got you all the appreciation from your husband? Kalai Jeeva : Almost everything! Except for Salads:). He hates them. If I had to ask him to vote for one particular vegetarian dish-that would be 'Chili paratha'. 6. Nithu's Kitchen: Share us an unforgettable incident that happened to you when you entered the kitchen as newbie? Kalai Jeeva : Initially, when I started cooking, nothing came out well. No spice. no salt and mainly no taste :(. Though I wouldn't touch a bit, my husband never complained. I would most of the time eat frozen foods or will ask my husband to cook for me. As like anyone, who is new to cooking, I had my own burns and bruises on my hand.I still have the scars in my hand. My worst experience- I tried to bake a cake, and I forgot to switch-off the oven for about 3 hours. I was totally terrified and shocked-when the smoke-deter went off. It was my first experience with that fella. I did tried all the steps, opening the window, the door etc.. as told by my husband over phone. Bloody detector, didn't quit detecting! It's just that- I never switched off the oven :) I realized just in time, and poured a big jar of water over the nicely browned cake, and switching it off. Thankfully it didn't caught fire. 7. Nithu's Kitchen : You have acted right and just averted the disaster that was about to have happened! What made you to start a blog? Kalai Jeeva : My hatred for being idle, and my passion for cooking and photography and not to mention-little writing, bought me in to the inadvertently growing world of blogging! Initially, I started blogging, to share the recipes with my sister, cousins and friends, but later with all the comments and appreciations, I got more involved I guess! 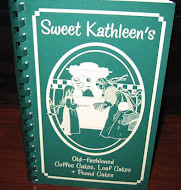 My blog is more like a beloved diary to me, with recipes, reminisces and readers thoughts around them! 8. Nithu's Kitchen: What do you have to share with us. 9. Nithu's Kitchen : That sounds really an interesting combo . Why did you select this. Kalai Jeeva : Simple, but an authentic dish I learnt from my mom. I happened to cook this today, and had time to take the photographs. Just thought of sharing with the readers! Add oil in a hot pan, add the onions and fry till brown. Switch off and cool. Grind the onion along with the other masala ingredients to a fine paste. Set aside. In a heavy-bottomed pan, add oil and when hot, add the curry leaves, cumin seeds and onion. Fry till brown. Add the ginger garlic paste and fry till the raw smell goes away. Now add the tomato along with coriander powder, cumin powder and fry for 1-2 minutes. Add the yam, simmer and cover with a lid and cook for 5-10 minutes, till the yam is cooked. Sprinkle with water to avoid burning. Add the grinded paste along with enough water to get the required consistency and bring to boil. Simmer for 10 minutes and garnish with coriander leaves. P.S: Boiled Potato's or yam can be added to the gravy for a quicker curry. Deep fried yam can be added for different taste. Nithu's Kitchen: Thank you so much Kalai. Dear Friends, hope you loved reading about Kalai. Guess, you would also like her wonderful dish. 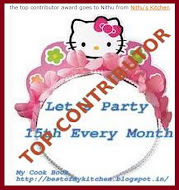 If you are interested to be featured as Nithu's Kitchen's guest, please drop a mail to Nithuskitchen@gmail.com. one more lovely guest post.Nice to know a little more about Kalai. Potato-Yam curry looks very yummy. Nice post, Good to know about Kalai, keep it up nithu. Lovely post! nice to know a little more about Kalai. Curry looks delicious..
U guys rocks simply superb...i love kalai's space, potato and yum curry looks fantastic!! Yummy curry! Nice knowing about Kalai Jeeva..Great post! Thanks for featuring about me and my recipe here! 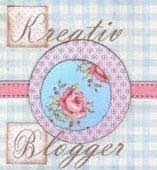 Its a wonderful experience to be introduced to other bloggers especially when you are new to blogging! And I appreciate your effort in making them happening! 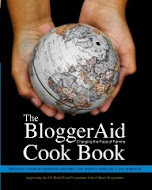 I hope to see and know about many wonderful bloggers as your featured guest soon! And, I would be glad to know more about the host too - so, try to do a host post about you Nithu(of course, if you like the idea) so we all would know more about you dear! 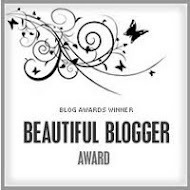 And dear readers, thanks for reading about me and all your lovely comments, which keeps me blogging! Nithu, Its interesting to know about Kalai. @ Kalai, Thanks for this yummy yam & potato curry... Potato is my daughter's fav & Yam, my husband's..
lovely guest post & nice curry! !